New "Complete Edition" in 14 volumes edited from primary sources by Stefano Grondona. Miguel Llobet, was indisputably the greatest guitarist of the first half of the 20th century. 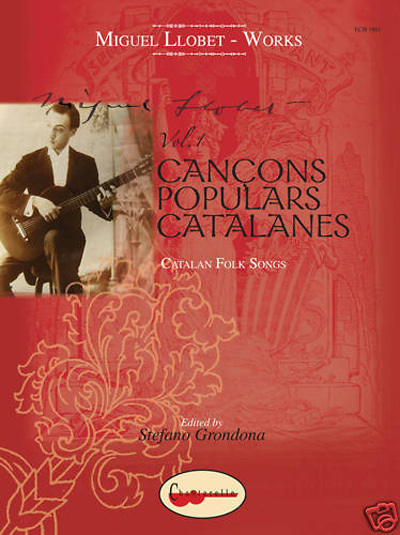 Volume 1 contains the Catalan Folk songs magnificently harmonised by Miguel Llobet, and for which he is maybe best known. Ample biographical information with copious notes and much unpublished archive material complete this volume which is a milestone in guitar history and Catalonian cultural life.